TAKATA AIRBAG INJURY CLAIM CENTER - Hurt by a Defective Airbag? Suffering from a Takata Airbag Injury? You May be Entitled to Substantial Compensation! Takata airbags are suspected in at least 24 fatalities and well over 240 injuries. Airbags are supposed to save lives, not cause death, blindness and and horrific injuries We believe that airbag injury figure is actually much higher. Many people injured in automobile accidents are simply unaware that their injuries may be the result of a defective airbag! Insurance companies and police agencies normally don’t collect this data so accurate statistics are difficult. Over 65 million cars with Takata airbags have been recalled. So far in 2018, another 3.3 million cars with Takata have been recalled. And the government says even more cars will be recalled in 2019. With over a billion dollars in claims and fines, Takata folded and filed for bankruptcy protection in 2017. Suing them for injuries or a wrongful death may not net much, especially since the company closed its doors. You can file a claim against them but be prepared to only collect pennies on the dollar. We originally became involved in airbag cases after hearing from VW owners who suddenly found their cars had dropped significantly in value. Between faulty emissions and airbags that may kill you, the resale value of a VW isn’t what it should be. We and our class action partners filed a novel lawsuit against VW and Audi. Instead of following the herd and fighting over the crumbs left behind by Takata, we are going after the car companies. We say that they knew for years that Takata airbags were defective yet continued to install them. Companies like VW were still installing Takata airbags in 2017 even after years of horror stories! Why? Profits! Because car companies like VW can make a bigger profit by using cheaper airbags. Now that the class cases are moving forward, we are ready to help people suffering from Takata airbag injuries. We can also help if you suffered catastrophic injuries from airbags not subject to the government’s recall. Simply because your car hasn’t been recalled doesn’t mean your airbags can’t malfunction. Despite several national class complaints against Takata and some of the auto makers, class actions are not the best way to seek justice for serious injuries or airbag deaths. In fact, we have always advised those folks to consider a separate lawsuit for their injuries. Class Actions and Personal Injuries – Not a Good Fit! Thankfully only a small percentage of passengers in Takata airbag equipped cars have been injured or killed. The bad news is that when an airbag malfunctions, the resulting injuries are often horrific. Suing an auto manufacturer can cost hundreds of thousands of dollars or even millions. The car companies have deep pockets, but most car owners do not. It just isn’t economically feasible for individual car owners to sue GM or Ford. Especially if your damages are a few hundred or thousand dollars. But if you are injured or a loved died because of a defective airbag, the rules are different. If your car was equipped with a defective airbag and you suffered catastrophic injuries, permanent disfigurement or if someone you loved was killed as a result of defective airbags, you have important legal rights. If we are describing you, call us immediately. The time to sue is often quite short. What Are the Most Common Injuries from a Defective Airbag? Airbag injuries occur when the bag fails to inflate or when it inflates with such explosive force that the metal airbag canister can disintegrate causing jagged shrapnel into the face, eyes, neck and torso of the driver. The airbags subject to the recall – those manufactured by Takata – are known to explode in certain cases and sometimes with deadly results. The fault has been traced to defective propellant that over time becomes unstable, especially in hot, humid climates. If the airbag fails to deploy, it may be a design failure, faulty sensor, faulty canister, bad propellant or bad wiring. There are many parts to an airbag system, if any one fails the airbags may not inflate. This problem is not part of the massive recall but if you were injured because your airbags failed, you may still be entitled to compensation. If you or someone you love has been killed, disfigured or seriously injured in an accident involving a vehicle containing a recalled Takata airbag and you believe that those injuries were caused of a defect in the airbag, you have legal rights. Contact the Takata airbag injury lawyers at MahanyLaw today.
) or by phone (414) 704-6731. Can’t a Local Personal Injury Lawyer Help Me? We have nothing against personal injury lawyer. For the normal car accident case, a good personal injury lawyer is probably all you need. Takata airbag injury cases are not “normal,” however. They are what lawyers call a “products liability” case. In the case of a defective airbag causing injury, your case could involve filing a lawsuit against the other driver or person at fault in the accident, filing a bankruptcy claim against Takata and filing a lawsuit against the auto maker for knowingly using defective parts. As noted above, airbag injury cases are extremely expensive to prosecute. They often involve expert witnesses and representatives from the car manufacturer, some of whom may not even be in the United States. If you are suffering a catastrophic airbag injury injury, contact us immediately. Please note, this lists changes constantly. Always check with your auto manufacturer, a dealer or the NHTSA recall website. If you or a loved one were killed or injured and you believe the injury was the result of a defective airbag, call us immediately. The time to sue is very limited and depends on where the accident occurred. If you or a loved one has died or was disfigured or seriously injured in an accident involving a vehicle containing a recalled Takata airbag and you believe that those injuries were caused by the airbag, you have legal rights. Contact the Takata airbag injury lawyers at MahanyLaw today. Who Is Responsible for my Airbag Injury? Takata or the Auto Maker? The answer is both! Collecting from Takata, however, may be difficult because the company is in bankruptcy and out of business. It’s not just airbag injury victims and their families that are suing, the car makers and government are all seeking hundreds of millions of dollars as well. Everyone is competing for the small pot of money left after the bankruptcy sale. Unlike some lawyers advertising for Takata cases, we are already pursuing several automakers for knowingly using defective airbags in their vehicles. What Kind of Damages Can I Claim as a Result of Takata Airbag Injury? In July of 2017, a federal judge in Detroit appointed Harvard Law School professor Eric Green to oversee the victim’s restitution fund created in the criminal case against Takata. Professor Green was also appointed by the U.S. Bankruptcy Court to oversee a fund created when Takata sold it’s airbag business. Although that sale netted $975 million, only $265 million was earmarked for injury and wrongful death victims hurt by the defective airbags. The court’s ruling doesn’t mean you can’t sue if you were injured because of some other airbag failure, it simply means you can’t collect from the money set aside by the court after the bankruptcy sale. As we noted earlier, the auto manufacturers may still be liable for your Takata airbag injuries. And unlike Takata, they are still in business and have deep pockets. The creation of a fund from the sale of Takata’s airbag business was anticipated and welcomed. No one is exactly how much each victim will receive. If you are hurt by an exploding or defective airbag, remember to preserve the vehicle and contact us immediately. This section details the history of Takata’s airbag problems and what is being done to get these dangerous products off the streets. The major automakers and the National Highway Transportation Safety Administration (NHTSA) have recalled tens of millions of cars equipped with airbags made by Takata. The recall is taking place because Takata airbags found in the front of vehicles can explode. Both driver and front passenger airbags are affected. The explosions can kill both the driver and passengers. Some of the explosions have caused horrific injuries such a facial scars, hearing loss and blindness. Regulators say the airbag inflator is the cause of the problem. The inflator is a metal cartridge loaded with propellant. When activated, the inflator is supposed to detonate and rapidly cause the airbag to inflate. Some airbags have exploded with such force, however, that the metal tube holding the propellant has ruptured causing metal shards to fly through the car’s interior. Instead of inflating the life-saving airbag, the inflator acts like a hand grenade. Metal shrapnel is sent flying through the car’s interior and often strikes passengers in the face. If made properly, Takata’s system should activate with just enough force to deploy the airbag. Regulators believe, however, that the airbags lack a required drying agent or enough of the drying agent. That defect can cause the airbag inflator to deploy with too much force. Environmental factors such as high heat and humidity can dramatically increase the risk of disaster. Whether or not you own one of the recalled vehicles, we urge you to keep reading. Some recalled models are more likely to explode, and some geographic areas are at greater risk. To date, 20 people are believed to have been killed by defective Takata airbags and dozens more have received grizzly and horrific injuries. Some 65 million cars are believed to be affected by the recall. In June of 2017, Takata filed bankruptcy. The company has already resolved criminal charges and owes the government $850 million in fines. The company also faces many lawsuits from both automakers, injured victims and the families of people killed by Takata airbags. The company does not have enough money to pay the claims against it, however, we believe the auto manufacturers who used these airbags in new vehicles despite the known risks are responsible for damage and injury claims. Our class action investigation centers on what Audi, Cadillac, Chevrolet, Chrysler, Dodge, GMC, Jeep, Mercedes and Volkswagen (VW) knew about the defective airbags and why these companies took so long in recalling vehicles containing these deadly time bombs. We are especially concerned with Audi, Jeep, Mercedes and Volkswagen. These companies continued installing Takata airbags despite years of recalls and knowledge of horrific injuries and death. Our Takata airbag personal injury / death / products liability claims team are looking at individual cases where defective airbags either failed to deploy or deployed with such force as to cause horrific injuries. Unlike the class case which focuses on specific makes and models, our injury cases can involve any vehicle containing a recalled airbag. We also are interested in cases where an airbag failed to deploy. Is Your Car Subject to a Recall? Check the NHTSA recall database. We are shocked and dismayed by the long delays in both identifying cars for recall and then in the subsequent replacement of the defective Takata airbags. Some companies such as Volkswagen did not even announce the most recent recalls until June 19th, 2017. More recalls were announced in January 2018 and continue even in 2019. This is despite over a decade of knowledge about the dangers of airbags containing ammonium nitrate… airbags manufactured by Takata. To put that date in context, the first recall began on November 4, 2008 when Honda recalled 4000 vehicles with Takata airbags. Several months later, an Oklahoma teen, Ashley Parham, died from a Takata airbag injury after her 2001 Honda Accord exploded sending metal shards into her face and neck. Although Takata and Honda denied any liability, both companies settled. That settlement remains sealed, meaning that the companies did not disclose what they paid to avoid trial and negative publicity. Several months later, a woman in Virginia died when a fender bender caused her airbag to explode. Like Ashley Parham, the woman died when metal shrapnel from the Takata airbag actuator severed arteries in her neck. That case was settled for $43 million. Even before the first recall in 2008, there is evidence that both car makers and Takata knew that the airbags were defective and could act like grenades. A full timeline appears in Section four below and is certainly worth reading. It documents how the automakers knew for years that there were problems with Takata airbags yet kept using them in their vehicles. Why? We believe that the car companies were more interested in profits than driver / passenger safety. It seems for some companies, the cost of an occasional death is less than he cost of replacing airbags on millions of vehicles or using more expensive (but safer) airbag systems. Now the government is forcing car makers to replace Takata airbags but how many people will die or be maimed because of the delay? Even in 2019, there are still millions of vehicles that have yet to be repaired. While there is evidence that knowledge of the dangerous airbags existed all the way back to 2002, All of the major car companies waited years before recalling vehicles. Many of these same companies quietly continued installing Takata airbags even though millions of other vehicles were being recalled. Volkswagen didn’t announce the most recent recall until June of 2017. Countless injuries could have been averted and lives saved if the automakers acted immediately. In our opinion, the reaction by the big automakers to the Takata airbag injury crisis is “a day late and a dollar short.” We say a “day late” because the companies should have acted many years ago. They are a “dollar short” because despite having years of notice, they still do not have parts to fix every vehicle, still sold cars with dangerous airbags and often refuse to help auto owners with expenses involved in the recall. While some automakers are telling their customers not to drive cars with Takata airbags, these companies have been sending mixed messages about the safety of their vehicles. Despite very specific warnings from the National Highway Transportation Safety Administration, some automakers just pay lip service to the recall and the safety risks associated with effective vehicles. VW has sends mixed messages about what affected vehicle owners should do. BMW tells customers to avoid driving affected cars. Honda has offered some customers loaner cars. VW and Audi? They tell their customers to suggest customers should follow NHTSA guidance but then won’t offer financial assistance or loaner vehicles. Chrysler, Dodge and Jeep doesn’t even address the issue except to see that replacement parts are being ordered. Am I In Danger of a Takata Airbag Injury? YES! If you haven’t replaced your airbag and your car is on the government’s list, you are in danger. Twenty four people have reportedly been killed because of reportedly defective Takata airbags. There have been dozens of injuries, some of which are horrific. As bad as those statistics seem, the National Highway Transportation Safety Administration says that airbags have saved tens of thousands of lives. That means you probably shouldn’t disconnect your airbags while awaiting new parts. The vehicles most at risk are those with the so-called “Alpha” airbags made by Takata. These are 2001-2003 Honda and Acura vehicles and 2006 Ford Ranger and Mazda B-Series trucks. if you have one of these vehicles and the airbags have not been replaced. Park the vehicle and contact a dealer immediately. Depending on where you live or where the vehicle was garaged also has a major impact on your risk of an airbag injury. More on that below. What makes this case so concerning to us is that Takata reportedly knew that the airbags they were supplying to auto manufacturers had a latent safety defect. They knew about the defect for years but remained silent. Takata pleaded guilty in February of 2017 to criminal charges surrounding their concealment of the airbag defects. The debate now centers on what the auto manufacturers knew about Takata airbags. Our Takata airbag injury claims center on the knowledge possessed by Audi, Cadillac, Chevrolet, Chrysler, Dodge, Ford, GMC, Honda, Jeep, Mercedes , Subaru, Toyota, Volkswagen (VW) and other car companies. Why did they delay so long in recalling millions of vehicles? Owners of vehicles with Takata airbags face much higher risk if they drive their vehicles in high heat and high humidity areas. Because scientists believe that the Takata airbag actuator systems in these vehicles lack proper drying agents, high heat and high humidity can cause the propellant in the actuator to degrade. That leads to deadly explosions. Owners of the listed vehicles in Florida, Louisiana, Puerto Rico, Hawaii, Mississippi and similar states face higher risks. The NHSTA has measured the risk owners face by zone. Vehicles primarily kept or driven in Zone A are most at risk while those in Zone C have the least risk. Don’t think that simply because your vehicle is in Zone B or C means that you are not at risk. There have been horrific injuries and Takata airbag failures in all zones. Zone A: Alabama, California, Florida, Georgia, Hawaii, Louisiana, Mississippi, South Carolina, Texas, Puerto Rico, American Samoa, Guam, and the U.S. Virgin Islands. Zone B: Arizona, Arkansas, Delaware, District of Columbia, Illinois, Indiana, Kansas, Kentucky, Maryland, Missouri, Nebraska, Nevada, New Jersey, New Mexico, North Carolina, Ohio, Oklahoma, Pennsylvania, Tennessee, Virginia, and West Virginia. Zone C: Alaska, Colorado, Connecticut, Idaho, Iowa, Maine, Massachusetts, Michigan, Minnesota, Montana, New Hampshire, New York, North Dakota, Oregon, Rhode Island, South Dakota, Utah, Vermont, Washington, Wisconsin, and Wyoming. I Have a Vehicle with Takata Airbag, What Should I do? First, look at the list of recalled vehicles. We have printed the list in section one above but caution readers to always check your automaker and the NHTSA. The history of the Takata airbag crisis is such that the recall is being constantly expanded. Also, typos may occur. Despite our displeasure with the car companies’ recall process, they have the most up-to-date information on which vehicles require repairs. If the recall in your vehicle only affects the front passenger airbag, don’t let anyone sit there. Remember, however, that defective Takata airbags can act as grenades. Keeping people out of the front passenger seat is only a partial solution. Obtain a loaner car from a dealer. Use public transportation / taxis / ride sharing services (Lyft, Uber). Is a loaner vehicle being provided while Volkswagen waits for parts to become available for the Takata recall? ANSWER: Volkswagen does not have an alternate transportation program. We understand that these options are quite expensive. Our position is that all the car companies that used Takata airbags including Audi, BMW, Cadillac, Chevrolet, Chrysler, Dodge, Ford, GMC, Honda, Jeep, Mazda, Mercedes, Nissan, Subaru, Toyota and Volkswagen (VW) are responsible for the cost of these inconveniences. Both companies are knowingly allowing their customers to drive automobiles that could explode without warning and kill or maim everyone in the vehicle. IF YOU HAVE ONE OF THE VEHICLES LISTED BELOW, YOU MAY BE ENTITLED TO COMPENSATION. There have been class action claims filed against the car companies for the loss of value and inconvenience associated with owning a Takata airbag equipped vehicle. (We have filed several of those claims.) You cn also secure your own attorney but proceeding alone can be quite expensive. , by phone at 414-704-6731 or with the online form below. Did You Suffer a Takata Airbag Injury? NOTE: If you were injured by an exploding Takata airbag, you have special rights. A class action lawsuit is probably not right for you. The period for filing a claim for injuries varies from state to state and in some states, can be quite short. Please, with tens of millions of cars subject to recall, we can’t speak to everyone by telephone. Please only call if you were injured by an airbag. We regret that we simply can’t return your call on non-injury phone inquiries. Our class cases have been filed. We are no longer investigating the class action claims. We continue to accept new airbag injury claims, however. Remember if you suffered a catastrophic airbag injury, we can help no matter who made the airbag or whether or not it was subject to a recall. In addition to seeking people suffering from serious personal injuries caused by defective Takata airbags, we are also looking for people who work or worked at any of these automakers. You may be eligible for a whistleblower award from the U.S. government. In limited cases, we may be able to pay you as a confidential, non-testifying consultant. Very recently, Congress passed the Motor Vehicle Safety Whistleblower Act. That law allows the Department of Transportation to pay whistleblower awards to insiders working at automakers or OEM companies. If you have information about a safety defect and the government collects $1 million or more, you could receive an award of between 10% and 30% of whatever the government collects. Most if not all the major auto manufacturers knew or at least suspected problems with Takata airbags well before the vehicles containing these airbags were recalled. We are interested in learning why some manufacturers continued to use dangerous Takata airbags long after most manufacturers were busy securing replacements. No one likes to report their employer for misconduct but when public safety is involved, it becomes one’s duty. How would you feel if a loved one or family member was killed because of an exploding airbag? Unfortunately, several car companies continue to let customers drive these dangerous vehicles without replacement airbags or loaner vehicles. Insiders are the best source of information to aid our investigation. Even if you don’t want to be a witness, we can still use your confidential help to determine key witnesses and where to locate key documents. Because we receive dozens of inquiries per day, please make sure to note that you are a company “insider” when contacting us. And remember, don’t use your work email or work device to contact us! Please note that all inquiries are protected by the attorney – client privilege and kept confidential. You have final say about our use of your information. This section contains important information of general interest to automobile owners / lessees and anyone wanting more information about the Takata airbag injury crisis. There are several interesting videos attached, including one that shows the explosive potential of a Takata airbag. What Does the Takata Bankruptcy Mean for Victims / Owners of Takata Airbag Equipped Vehicles? As early as 2002, Takata engineers knew that the defect rate in certain of their airbags were 6 to 8 times the company’s acceptable limits. Despite knowing of the dangers, Reuters reports that the company failed to notify the car makers, regulators or motorists. July 6 “Happy Manipulating!! !” A Takata airbag engineer, Bob Schubert, writes an internal email that says, “Happy Manipulating!! !” The email references airbag safety test results. In another email he talks about methods of “dressing” up bad test data. The emails surface during a subsequent personal injury suit years later and are published by the New York Times in 2016. Nov. 4 First of Takata airbag recalls begins. Honda recalls 4,000 2001 Accords and Civics (2001 models) after finding that Takata airbag actuators can explode and spray metal shards into the passenger compartment of the car. May 27 An 18-year-old Oklahoma teen, Ashley Parham, died just days after her high school graduation. She died after the Takata air bag in her 2001 Honda Accord exploded. Dec. 24 Gurjit Rathore is killed in Virginia when the air bag in a 2001 Accord exploded. The accident was minor. Honda and Takata settled four years later for $3 million. Feb. 9 Honda expands Takata related airbag recall. April 27 Honda and Acura recall 896,000 cars. The recall was for Takata airbags installed as replacement parts! Dec. 1 Honda expands recall again. April 11 Toyota Motor, Honda, Nissan and Mazda recall a combined total of 3.4 million vehicles with Takata air bags. May 7 BMW recalls vehicles with Takata airbags. June 11 Toyota recalls a total of 2.27 million vehicles with Takata airbags. June 11 The National Highway Traffic Safety Administration opens investigation, examining whether high heat, high humidity regions contributes to the risk of Takata airbag explosions. Takata continues to deny any defects. June 23 – Honda, Nissan and Mazda recall 2.95 million vehicles. Total recall now over 10 million vehicles. July 16 BMW expands Takata recall. Oct. 2 Orlando woman dies after her 2001 Accord is in an accident. Police believe she was killed by shrapnel from a Takata airbag actuator. Oct. 22 NHTSA expands recall. Oct. 27 The first class action lawsuit is filed. Car owners claim Toyota, Honda and Takata concealed crucial information on air bags. Nov. 7 New York Times reports Takata ordered technicians to destroy records and test results. Article also says that the company knew of defects for years. Congress demands call a criminal investigation of Takata. Nov. 13 Takata claims it fixed the propellant in its airbags. Nov. 13 Honda widens recalls. Nov. 20 Senate hearing into Takata airbag defects and concealment of defects begins. Takata tells senators that it can’t find the cause of the airbag failures. Jan. 18 Another suspected Takata airbag injury turns fatal. Jan. 29 35-year-old Texas man killed, cause of death believed to be a Takata airbag that exploded. Feb. 20 Government imposes fine of $14,000 per day because of Takata’s failure to cooperate in investigation. May 13 Toyota and Nissan recall more cars. Total recalls now over 31 million cars. May 19 DOT says that Takata finally acknowledges airbag inflators were faulty. Some trucks now added to the recall. Total recall now approaching 34 million. May 28 NHTSA adds more cars to the recall lists. June 4 Reuters says that at least 400,000 replacement airbag actuators will need to be replaced. June 15 Yet another fatality tied to an exploding Takata airbag, this time in Louisiana. June 15 Honda expands recalls more models. June 16 Toyota expands Takata airbag recall, adds 1,365,000 more vehicles. June 19 Another Takata airbag related fatality. This time in a rental car in Los Angeles. Oct 6 GM learns that side airbags on certain model Buick LaCrosse, Cadillac XTS, Chevrolet Camaro, Chevy Equinox, Chevy Malibu and the GMC Terrain may be defective. Side mounted airbag failures are especially dangerous in that they can spew shrapnel throughout the entire passenger cabin putting all passengers at risk. Nov. 3 NHTSA imposes a record penalty against Takata. Government orders Takata to stop manufacturing actuators with defective propellant and orders company to increase the recall. Dec 23 Another suspected Takata airbag injury turns fatal, this one just two days before Christmas. Feb. 12 NHTSA expands its Takata airbag recall list again. April 7 A 17-year-old Texas girl becomes the latest suspected Takata airbag injury victim. Like the others, she was killed from shrapnel from an exploding airbag. April 13 Government now says that there may be 85 million defective Takata airbag systems still not recalled. May 4 Takata airbag recall now doubles to 40 million airbag inflators to be replaced through 2019. Only 8.2 million have been replaced thus far. June 2 More cars added to the Takata recall. This time Audi, BMW, General Motors, Jaguar/Land Rover, and Mercedes-Benz. June 14 Volkswagen confirms it is still selling new vehicles that contain Takata’s ammonium nitrate-based propellant in driver and/or passenger frontal airbag inflators without the chemical drying agent. June 21 Fiat Chrysler and Jeep say they are still selling cars manufactured with defective Takata air bag inflators. All those vehicles now must be recalled in the future. June 30 NHTSA warns the public not to drive certain cars with Takata airbags. July 22 Mazda announced additional recalls of vehicles with Takata airbags. Oct. 20 Another Takata airbag injury turns fatal. Dec. 9 DOT tells auto companies to step up the pace of fixing recalled vehicles. Jan.12 Ford, Lexus and Toyota expand recalls of Takata airbag equipped vehicles. Feb. 28 Takata pleads guilty to federal criminal charges that it withheld information about its defective airbags. The company is expected to pay $1 billion in fines and restitution. At the time of the guilty plea, the government estimates that it will take until 2020 for automakers to complete the repairs on recalled vehicles. May 5 Honda says that some models of vehicles being operated in Hawaii have a 50% chance of an airbag explosion if involved in a crash! May 19 Toyota, Subaru, BMW, and Mazda agree to pay $553 million to settle class action claims brought by car owners. June 26 Takata filed for bankruptcy protection. Key Safety Systems says it will change the company’s name once the bankruptcy is complete. The bankruptcy plan contemplates that the buyer will acquire the company free and clear of its liabilities. Lawyers for automobile owners, dealers and injury victims believe that there will not be enough money to satisfy all claims. MahanyLaw and its class partners elect to pursue the automakers directly on behalf of consumers. July 11 Even after bankruptcy, 2.7 million new recalls are announced. This recall affects certain Ford, Mazda and Nissan vehicles made between 2005 and 2012. The three automakers have not said when replacement parts will be available. July 12 An 81-year-old Hialeah, Florida man becomes the latest fatality allegedly linked to a faulty Takata airbag. This case is unusual in that the vehicle was parked and the elderly man was apparently working on the inside of the car when the airbag deployed shooting shrapnel which caused him to bleed to death. July 21 Ford petitions the NHTSA to not recall certain Ford models saying their Takata airbags pose an “inconsequential risk.” Meanwhile, Nissan adds 515,000 more vehicles to its recall list. July 24 A man died in Australia after the airbag on his 2007 Honda allegedly sent shrapnel into his neck. He becomes the 18th apparent fatality. July 28 A 34-year-old Holiday, Florida woman died, allegedly from a Takata airbag injury. If the cause of death is confirmed, she could become the 19th fatality attributed to the defective airbags. Aug. 9 Nissan agrees to compensate owners of their vehicles who suffered economic losses and to provide rental cars. Only 30% of Nissans have been repaired thus far. Aug. 22 Lawsuit alleges that salvage yards are recycling dangerous Takata airbags. Does the used car you bought have a safe airbag? It’s hard to tell! USA Today reports that Takata and the NHTSA are recalling another 3.3 million vehicles are being recalled because of defective airbags including Honda, Toyota, Audi, BMW, Daimler Vans, Fiat Chrysler, Ford, General Motors, Jaguar-Land Rover, Mazda, Mercedes-Benz, Mitsubishi, Nissan, Subaru and Tesla. The National Highway Traffic Safety Administration says it will continue to name additional vehicles for recall through December of 2019. The total number of vehicles expected to be recalled is estimated at between 65 and 70 million. The NHTSA urges consumers to not drive certain Acura, Ford, Honda and Mazda vehicles. Period. If you have one of the listed vehicles and the Takata airbags have not been repaired, the government says take them directly to the dealer immediately. Recent testing and crash data suggests that the Takata airbags in these cars are at a high risk of explosion should the airbags deploy. In some cases, there could be a 50% chance that these airbags will rupture! If you own one of these vehicles, search the Recalls Lookup using your vehicle identification number (VIN) to confirm that the vehicle has an unaddressed recall and needs a repair. If it does, immediately call your dealer to schedule a free repair. Replacement parts for these vehicles should be in stock and available. What Does the Bankruptcy Mean for Takata Airbag Injury Victims? Takata’s bankruptcy comes as no surprise to anyone. Billions of dollars of unresolved claims, plummeting stock prices, class action lawsuits and a billion-dollar debt to Uncle Sam all contributed to the demise of Takata. Notwithstanding that the bankruptcy was been widely anticipated, it is still bad news for car owners and devastating news for the hundreds of people directly impacted by exploding Takata airbags. The company doesn’t have enough money to pay all victims. By buying the company through a bankruptcy proceeding, Key Safety Systems acquired the company free of any debt. That means they are not responsible for any Takata airbag injury or death claims. While we are not happy that the company can’t pay all the victims, not allowing the company to be acquired would mean even less money for victims. Absent the waiver of future liability, no one would buy the company. That could be worse for Takata airbag injury victims and car owners. As noted above, several automakers have already faced a class action lawsuit and settled. The total amount of the settlement is $553 million. That suit does not cover the loss of vehicle value caused by having a Takata airbag. The class action also does not cover people directly killed or suffering from a Takata airbag injury. There are on-going claims against Ford and Honda. Nissan just announced their settlement and full details were not available at the time of this update. Our class case is for owners of certain Audi, Cadillac, Chevrolet, Chrysler, Dodge, GMC, Jeep, Mercedes and Volkswagen (VW) automobiles. Despite over a decade of problems and countless horrific Takata airbag injuries, we were shocked to learn that these companies. Their refusal to provide loaner cars and pay for all the economic losses of their customers defies reason. Approximately 60 million vehicles equipped with Takata airbags have been recalled. Regulators believe that defective actuators within the airbag unit may explode killing or seriously injuring occupants of cars equipped with these airbags. The NHTSA has recommended that drivers of many of these vehicles simply park them until repairs can be made. A link to the current list of recalled vehicles can be found above. Injured Because of a Defective Takata Airbag? This post is not intended to be legal advice. 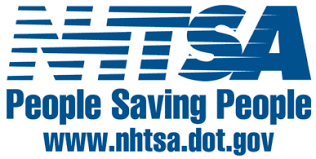 It is also not a substitute for checking with the NHTSA to see if your vehicle is covered by a recall. Click here for more information. *To see all of our Takata Airbag Injury posts, visit our Takata legal resource page.